I want to tell you a story about good friends- the kind of friend who would feed you if you were sick, and protect you if you were under attack. The kind of friend who, if she had baked some cookies, would give you one. Even though this sounds like a magical “once upon a time” story, it’s actually an amazing “you won’t believe what scientists are learning” story. If a tree had a best friend of another species, what do you think it might be? I’m going to vote for… mycorrhizal fungus! 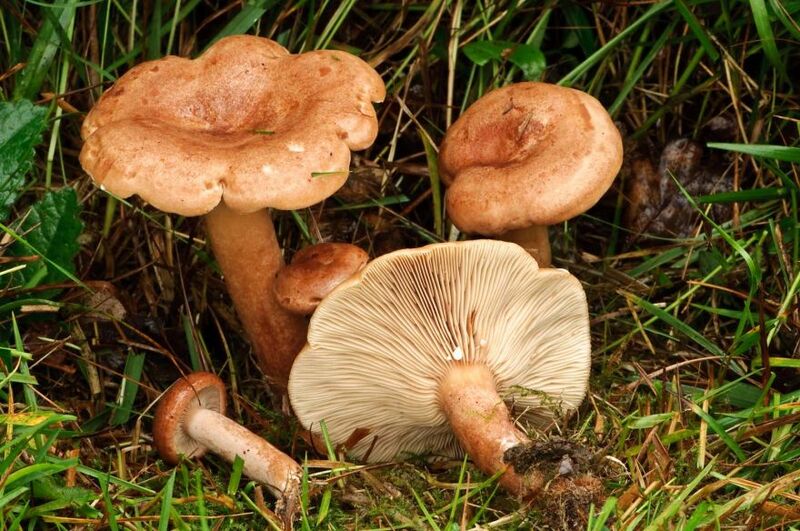 So far scientists have identified 75,000 kinds of fungus in the world, and they think there may be millions more! some are enemies of trees- they would eat a tree as soon as look at it. To pair up with an oak tree, the Milkcap grows its fungal threads right into the soft root hairs at the end of the oak tree roots. A tree that has a fungus partner can gather up to twice the nitrogen and phosphorus as trees without- and trees need those chemicals to live! sometimes up to 1/3 of the total food a tree produces for itself. 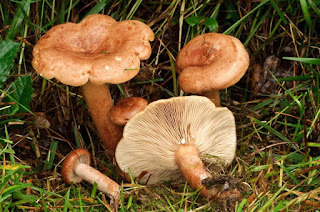 SO the fungi also help absorb heavy metals, which are bad for tree roots, and they help ward off intruders, like bacteria or one of those enemy fungi. They really get to be dependent on one another. But it doesn’t have just one best friend, because the milkcap will roam through the forest floor finding other fungi, and other tree roots. One tree can have as many as 100 different fungi connected to its roots. And the fungi many connect different species of trees. And like our human internet, trees share information through their web. They warn each other of an insect attack, so that trees can protect themselves by making chemicals that are toxic or repellent to the attackers. They pass on genetic information so that the next generation can grow up more resilient against threats their elders faced. their douglas fir neighbors suffered too. The mycorrhizal fungi physically connect these two totally different species so they can share resources and help one another. A tree that has a lot of sun can turn that sun into carbon, and then share the carbon through the roots with another tree who needs it through the web. This web helps share nutrients and even water from a place in the forest where they are abundant to a place where they may be scarce. like Mycorrhizal fungi, that we admire and love. In the catholic tradition, it is common to celebrate a “blessing of the animals” near the Feast of St. Francis. For centuries people have brought their dogs or cats or goats and sheep to be blessed by a priest. Today we want to draw that circle even wider. As Unitarian Universalists we know that we are part of an interdependent web of life that includes every being, from the smallest soil microbes, to the tallest oldest trees. From the scary shark to the snugly kitten. We know that even beings who don’t seem to have any connection to our human lives are part of a profoundly complex system of inter-relatedness, and are kin to us in ways we may never understand. And so today we honor and bless all beings. What does the word “blessing” mean to Unitarian Universalists? First of all, it’s not something only a minister can do- we are all directly connected to the spirit of life which flows through us all. SO I am not going to do the blessing today, we will all do it together. We who gather here are theists, and atheists and agnostics, so perhaps a blessing, for us, means simply to hold in consciousness and compassion. To imagine the light of life and love holding each of these beings, encouraging each to unfold in whatever ways life calls to them in the community of beings. Some of you have brought with you a being for our blessing, or an object that reminds you of that being. Some of these beings are present in our lives right now, and we will ask for a blessing on their life, others have died or become extinct and so we bless their memory. I have some extra objects here for folks that would like to ask for a blessing and don’t already have something.